Keeley Blue Book “Best Resale Value Awards” have recognized products and brands that retain a high value over the first 60 months of new-vehicle ownership. The award is divided into three categories: “Best Brands”, “Overall Top Ten Winners” and “Category Winners”. This makes a total of 24 categories, including “Luxury Car” for which 2019 Audi A7 was named a winner. By using the latest research approaches and analysis techniques, Kelley Blue Book project has estimated used machine’s value based on trim level, sales data, market conditions, competition within individual segments, future economic factors and combined experience of the entire Kelley Blue Book team. 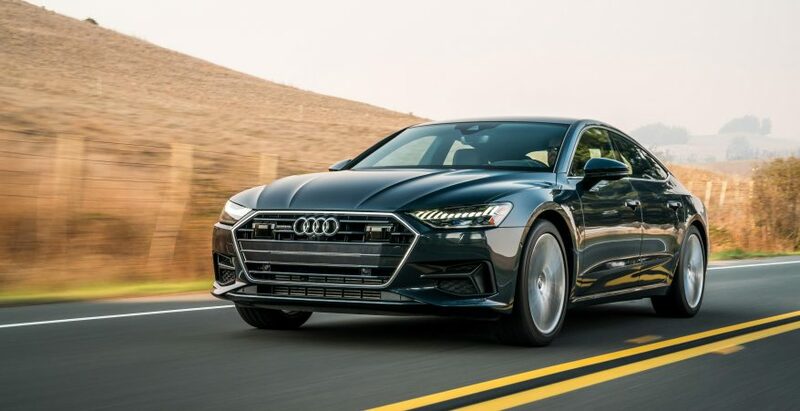 The vehicle itself, 2019 Audi A7 incorporates the comfort of a sedan machine and the sportiness of this unmistakable Audi spark. Coming with a signature silhouette and appealing design, the next-gen A7 has a lot to demonstrate. First, the vehicle is equipped with a 3.0-liter TFSI V6 engine that produces massive amounts of torque and horsepower that altogether allow the machine to sprint from 0 to 100km/h in mere 5.2 seconds. There’s also a 48-volt Mild Hybrid Electric Vehicle technology and an exclusive fine-tuning for the suspension system. In terms of interior, the design is focused towards the driver, creating a comfortable and functional cockpit with MMI touch response, handwriting recognition, high-resolution touch displays with haptic and acoustic feedback. Sweet!